Notes: A long thin mine is formed by the larva. The early mine is shown here. 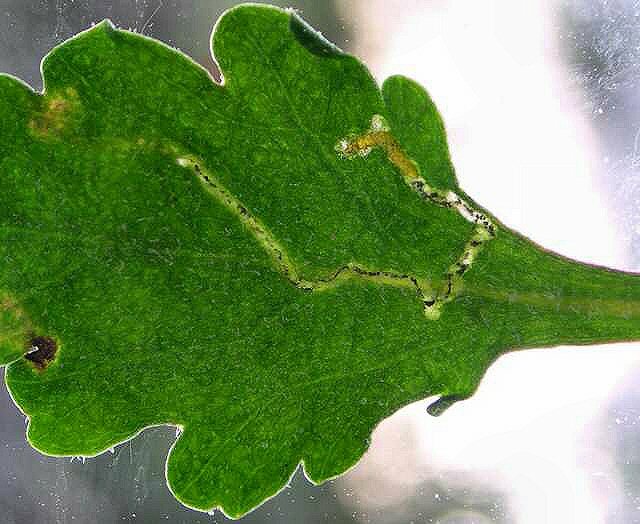 The larva can swap mines or leaves. A moulting cocoonet is formed under a leaf and the cocoon is formed on the stem or another plant.